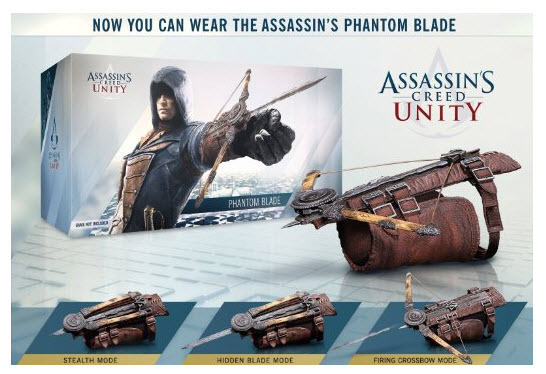 Last week Ubisoft shipped the Assassin’s Creed Phantom Blade to coincide with the release of Assassin’s Creed: Unity on November 11th, 2014. I pre-order a couple about 3 months ago and as soon as they came in, my son and I recorded an unboxing video to kick-off our new Twitch channel, Better Off Gaming. The unboxing video is embedded below and links to our Twitch, YouTube and other social channels are below that. Check us out and follow us to be notified when we broadcast. 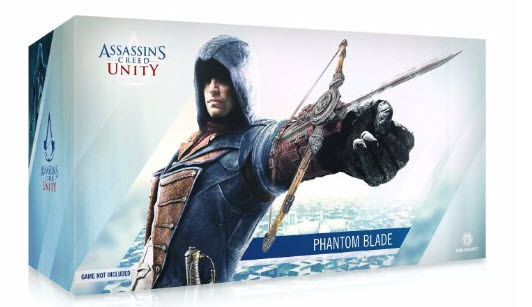 The Assassin’s Creed Phantom Blade is also on our Holiday Gift Guide 2014. Assassin’s Creed is one of those franchises that over-saturates the market (I think this is the 6th game? Maybe? )… but my GOD that’s cool. I bet a lot of cosplayers are going to be using that device for conventions.